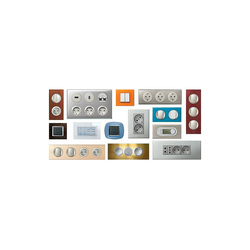 Prominent & Leading Wholesaler from Secunderabad, we offer legrand dnd & mmr external unit, dnd & mmr internal unit, legrand switches, legrand sockets and legrand bell. Owing to the efforts of our dedicated team of professionals, we have been constantly engaged in offering the best quality Legrand DND & MMR External Unit, DND & MMR Internal Unit. Owing to the efforts of our dedicated team of professionals, we have been constantly engaged in offering the best quality Legrand Switches. Owing to the efforts of our dedicated team of professionals, we have been constantly engaged in offering the best quality Legrand Sockets. Owing to the efforts of our dedicated team of professionals, we have been constantly engaged in offering the best quality Legrand Bell, Bell Push, Bell Call Indicator, Bell Indicator.